The B&S3145 Challenger I Series Bb Flugelhorn is the perfect balance of performance and price for the doubling trumpet player. Its .413" bore allows the player to be flexible and produces a fat tone. Monel pistons ensure fluid valve action, and the hand-hammered bell adds the maximum amount of resonance. 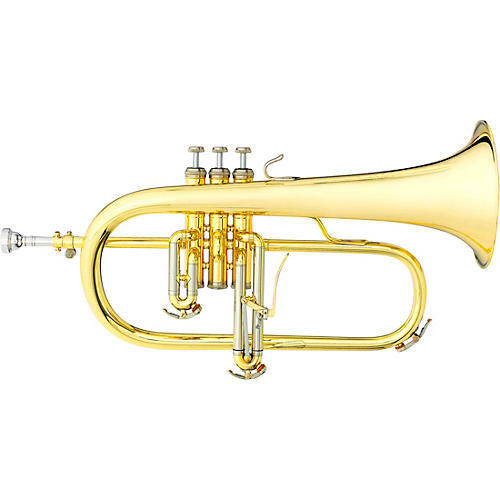 Completing the 3145 Challenger I Series Bb Flugelhorn are nickel-silver outer slides and a third valve trigger for intonation adjustments while playing.